A revealing archive of unseen photographs of music stars taken more than 20 years ago is to go on display in a New York gallery on Thursday. The images, which were all taken by Laura Levine while working for a succession of music magazines in Manhattan, show performers such as Chrissie Hynde and Michael Stipe in an unpretentious setting or a pose that often challenges their public image. The photographic show, titled Musicians, is being mounted by the Steven Kasher Gallery and came about almost by accident after Kasher worked with Levine on another show chronicling the same era. Levene’s show is being billed as an insider’s look at the artists at the forefront of rock, punk, indie rock, post-punk hip-hop, new wave and no wave – and it is already causing a stir in the Big Apple. The show will be the first solo gallery exhibition for Levine and will feature more than 35 vintage and modern prints, including the photographer’s vintage gelatin silver prints, many of which are one of a kind. “There’s been a strong interest in seeing the photos so we think the show is going to be very popular,” said Owen. Levine has not taken photographs since 1994 and has worked instead in painting, video and animation, but in the 1980s she showed frequently in downtown galleries after working as chief photographer and photo editor of underground newspaper New York Rocker. She also published in the Village Voice, Sounds and Rolling Stone. The show also includes an evocative picture of Tina Weymouth of Talking Heads and hip-hop artist and DJ Grandmaster Flash. Marking the birth of hip-hop as a popular genre, it was taken in New York in 1981 in front of a wall of graffiti. “I love that shot. It was for the cover of Andy Warhol’s magazine Interview. They look great with those boomboxes,” said Levine. 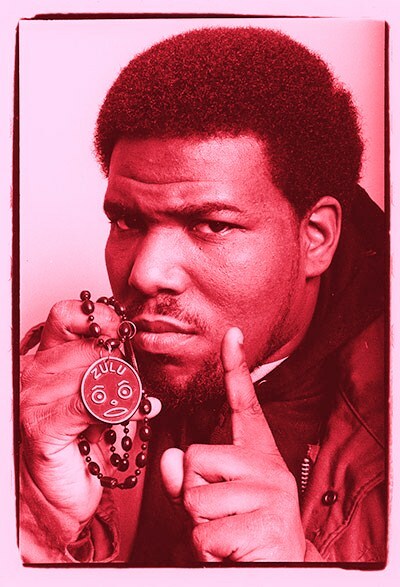 This entry was posted on July 17, 2011 at 12:58 pm and is filed under Culture, Music with tags 1980s, 1990s, afrika bambaataa, andy warhol, bands, big apple, chrissie hynde, dj, grandmaster flash, hip-hop, laura levine, madonna, manhattan, michael stipe, music magazines, musicians, new york, new york rocker, nyc, observer, photographers, photographs, photography, post-punk, punk, r.e.m., rolling stone, sounds, steven kasher gallery, talking heads, tina weymouth, village voice. You can follow any responses to this entry through the RSS 2.0 feed. You can leave a response, or trackback from your own site.